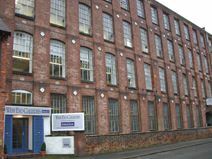 This studio and office space is housed within a large mill property and provides accommodation from 200 - 3,000 sq. ft. There is on-site parking and views overlooking the Erewash Canal. 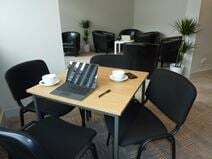 With light and airy office space located to the west of Nottingham in the Victorian market town of Long Eaton, tenants also benefit from a range of meeting and conference rooms as well as co-working and private office spaces.